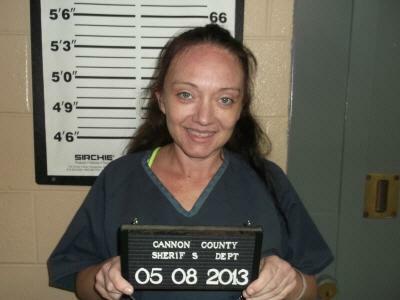 A Cannon County woman is charged with TennCare fraud after receiving healthcare insurance benefits she wasn’t entitled to receive. The Office of Inspector General (OIG) today announced the arrest of Pamela Climer-LaFever, 43, of Woodbury. She is charged with TennCare fraud and theft of service in an indictment accusing her of making false statements and concealing material facts in order to have access to TennCare benefits. She apparently failed to notify the Department of Human Services that certain facts about her situation had changed, making her ineligible for TennCare benefits. TennCare fraud is a Class E felony, carrying a sentence of up to two years in prison. Theft of services over $1,000 is a Class D felony that carries a sentence of up to four years in prison. District Attorney General William C. Whitesell, Jr. is prosecuting. The OIG, which is separate from TennCare, began full operation in February 2005 and has investigated cases leading to over $3.5 million paid in restitution and recoupment to TennCare, with a total estimated cost avoidance of over $173 million for the TennCare program, according to latest figures. To date, over 1,800 people have been charged with TennCare fraud.